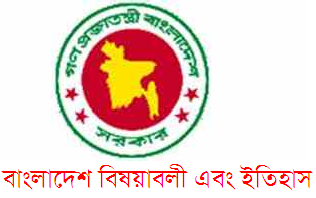 BCS Preparation : Preliminary Examination Preparation on Bangladesh History and Bangladesh Affairs. Today I am sharing you some more General Knowledge about Bangladesh Affairs. Here some important mcq on the History of Bangladesh is shared. If you are a candidate of 31st BCS Examination then this mcq will help you to make your preparation strong and competitive. Befor I have shared some Important question and Answer on Bank job Recruitment Examination in Bangladesh. Next postFacebook Video and WordPress.com|| How to Add,Show or embed facebook video on your wordpress,joomla,blogger blog or website.Share your facebook video in your blog||Code Included. who creats it ,many many thx him. Actually with my day today work and job, sometimes it is tough for me to publish the current affairs and job related questionaries.. But, i will try to publish the job questionaries soon..